They travelled the whole Poland to shoot this video. From the Baltic sea in the north, all the way to Tarta mountains in the south. 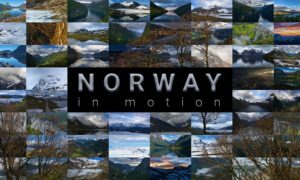 An amazing piece of art – shot on Sony A6300 and polished with LRTimelapse – which deserves 100000’s views! Explore Poland covers my favourite locations in a form of flow motion journey. The whole production took over a year and it’s my form of celebrating 100 Anniversary of Polish Independence. We have practicaly travelled the whole Poland to shoot this video, from the Baltic sea in the north all the way to Tarta mountains in the south. Explore Poland covers my favourite locations in a form of flow motion journey. The whole production took over a year and it’s my form of celebrating 100 Anniversary of Polish Independence.